With our 67,000sqft warehouse facility housing over 3,500 product lines on the shelf and another 6,000 on short lead times, you’ll be sure we have the cable you need. There are also over 800 CPR-compliant cables including Alternative to Belden, structured wiring, fibre, coax, signal & control and power cables. We have no cut-off time for orders, call up to 6pm and if we can cut and pack your order we will dispatch right up until the courier leaves. Next working-day delivery is standard to the UK mainland and is free on orders over £100. For urgent shipments, a range of express delivery options are available including pre-9am, pre-10.30am and pre-12 noon. A same-day courier is also possible– time and distance permitting. We cut to length on many product lines meaning you only buy what you need – reducing wastage and saving you money. 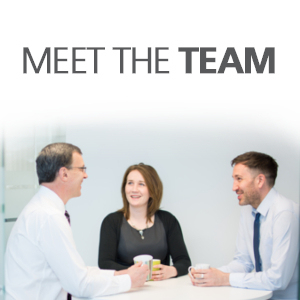 If you need cables delivered outside the UK, our dedicated export team is on hand. Offering a fast and comprehensive service, supplying you with export packaging, cables cut to length, essential paperwork and certificates. Dispatch by courier, air, sea and road to be with you where and when you need it. We are authorised by the Chamber of Commerce to produce all the export documentation such as Certificates of origin and EUR1’s, in house providing you with a fast and efficient service. Unlike other suppliers, FSC provides export packaging as standard, it’s all part of the service. We will select the most appropriate option to ensure that your goods arrive in perfect condition regardless of how far they have travelled. If you need a cable manufactured to your own specification or standard – talk to us. This can range from a printed or coloured jacket, right through to composite cables containing multiple elements of your choice. We’re also able to help you with over-sheathing or steel wire armouring (SWA) to an existing cable, with short lead times and quantities as low as 100m. If you have a regular requirement for a particular cable you may benefit from using our call-off order service. Contracts can be up to 12 months in length and enable you to fix your cost. Cable called off will normally be invoiced when it has been delivered, spreading the cost over the length of the agreement. In most cases, the entire order will be manufactured in one go and held in stock for next working day delivery. Whether it is a contractor who has limited storage on site and wants the cable delivered as and when required or an OEM customer who may require a regular amount of cable for a particular application, call-off orders are proving to be extremely popular. Call-off agreements have many benefits. * Prices fixed for 12 months or the duration of the agreement. * Volume discounts – even if the cable is called-off in relatively small amounts. * Cables can be made to your exact design or with a special print without costly storage or financial penalties. * Peace of mind. Your cable is allocated and stored in our warehouse, delivered next working day to mainland UK. Having a particular cable available at the right place and at the right time is a must for many of our customers. 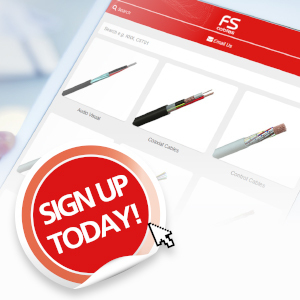 Talk to our sales team for more details about how the benefits of improved flexibility and cost savings by calling-off your orders could work for you. We adapt to work your way, to embrace your projects as our own, however varied they may be. But you don't have to take our word for it, we've just been awarded the Feefo Gold Trusted Service Award for the 2nd year running. 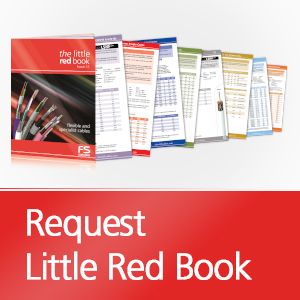 We’re just putting the finishing touches to the ever popular cabling guide ‘the little red book’ which is back with issue 12! The handy A5 size contains technical information, application data and images for over 8,000 products, a must have resource for those involved in buying or specifying electric cables. 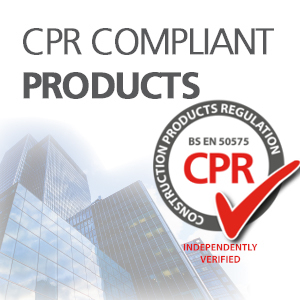 Many are compliant to the Construction Products Regulation (CPR); sections include AV, data, bus, coaxial, signal & control, power, fire & security, telephone, rubber & crane, marine, fibre, and high temperature as well as a guide to custom-manufactured cables. 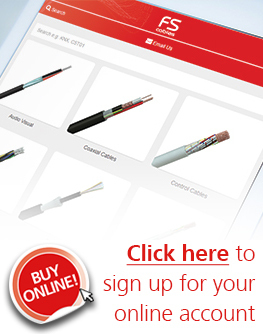 There’s also a handy lookup table to find alternative to Belden cables from one of the largest ranges in the UK. Click here for your free copy and we’ll send it out to you as soon as it’s off the press.